20170520 - Four time Lockport Bocce League champions celebrate after capturing another title recently at there club’s Wright Corners Courts. The League is now playing at outdoor Courts in the City. 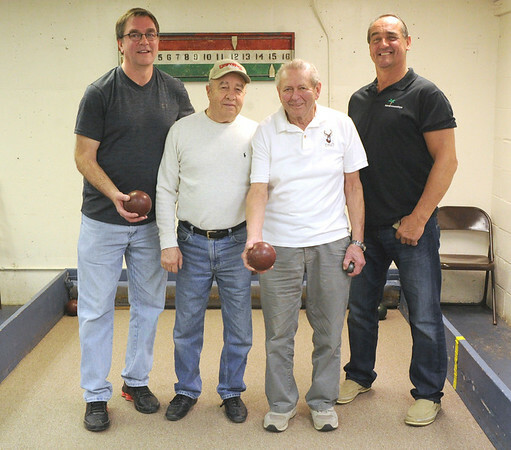 From left to right: Bob Kaszuba, Joe Chiappone, captain Dino Ceccato and Doug Hammond.